Prescribed self-help books are an effective treatment for depression is the conclusion reached after a field trial in Scotland. BBC News reports how patients offered books, plus advice on how to use them, had lower levels of depression a year later than those undergoing conventional medical treatment. A consultant in adult psychiatry states that the results show that guided self-help is effective and the health care sector should be investing in it. With music therapy gaining acceptance and advocacy for guided self-help increasing, classical music must seize the opportunity. In July 2011, following emergency hospitalisation and surgery, I wrote about the CDs that should be in every medicine cabinet, while another post that year linked classical music and the feel good factor, and a more recent one discussed how music therapy and other non-chemical tools can build neurochemical bridges between spiritual guidance and conventional psychotherapy. 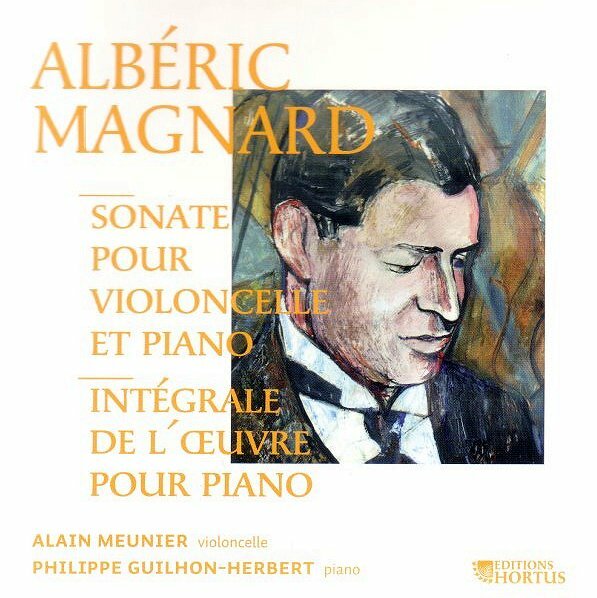 There are a number of composers whose music should definitely be available on prescription because of its life-affirming qualities; the symphonies of Dvořák, Martinů and Nielsen immediately spring to mind, and those of the little-known Albéric Magnard can be safely be added to that list. Magnard was born in 1865 in Paris on the very same day as fellow life-affirmer Carl Nielsen. 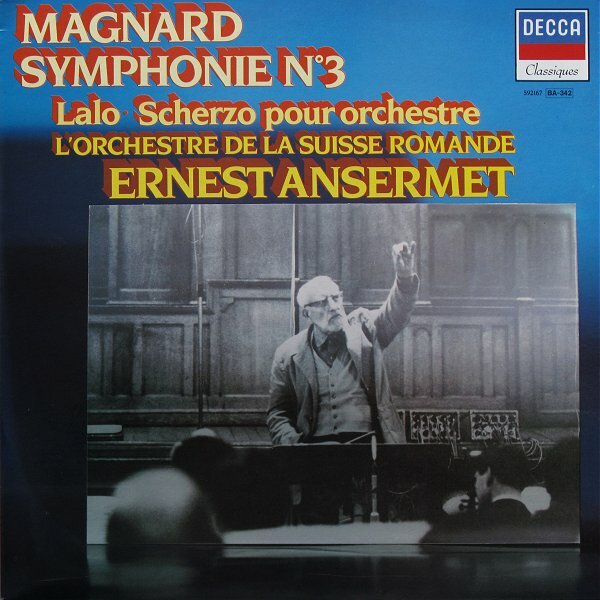 If Magnard is known at all today it is for his two final symphonies, the Third and Fourth, which are seen in LP versions above. What is fascinating about this composer of life-affirming music is that, like a number of musicians, he was a depressive. Magnard’s magnificent Fourth Symphony, which blazes with optimism in its finale - audio sample here - was written in a state of what the composer himself described as ‘marasme complet’ – utter depression. The symphony was commissioned by the Union des femmes professeurs et compositeurs – Society of women professors and composers – and given its premiere in May 1914 just six weeks before the outbreak of the First World War. Four months later Magnard was dead, shot by marauding German soldiers while defending his home at Baron-sur-Oise, they then torched the house and in the inferno many of his manuscripts were lost. Magnard is often linked with César Franck and Anton Bruckner, which is somewhat unfair as he has a unique voice that deserves to be heard more often. The symphonies are the best starting point for those new to his music; but I also recommend what is possibly his masterpiece, the sonata for cello and piano which is available in the excellent CD seen above on the enterprising Edition Hortus label. Ernest Ansermet’s account of the Third Symphony - photo 1 shows my French Decca LP version - thankfully lives on as a CD transfer, as does Michel Plasson’s EMI recording of the Fourth seen in picture 2. 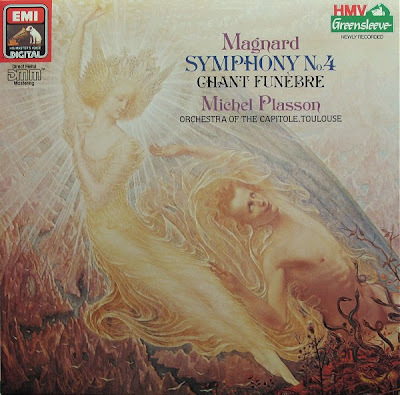 It was that 1983 EMI LP incidentally which introduced me to Magnard’s music. Hyperion has a mid-price double CD of the four symphonies in performances by the BBC Scottish Symphony Orchestra conducted by Jean-Yves Ossonce. 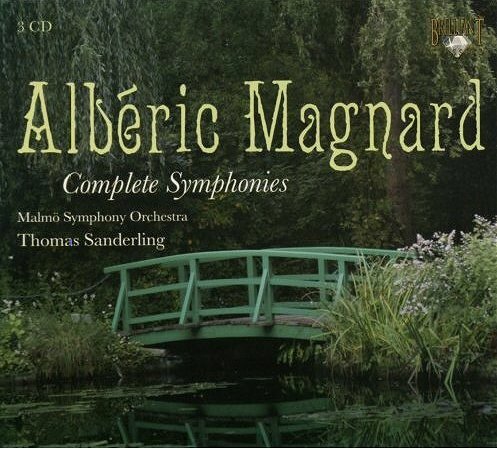 But, in my opinion, the best way to get to know Magnard’s symphonies are the more spacious performances in the cycle by Thomas Sanderling and the Malmö Symphony Orchestra seen below. These were recorded by BIS in the late 1990s but are now available from Dutch budget re-issue specialist Brilliant Classics. The finale of Sanderling’s passionate interpretation of the Fourth blasts out of the speakers in my study as I write and, as always, it sends shivers down my spine. Current Amazon UK retail is £9.29 for the three CD set, which makes it the best value psychotherapy session you will ever experience. Guercoeur is fine opera but its heavy Wagnerian symbolism may not be much of a cure for depression. I always think the title sounds like a French patent medicine.